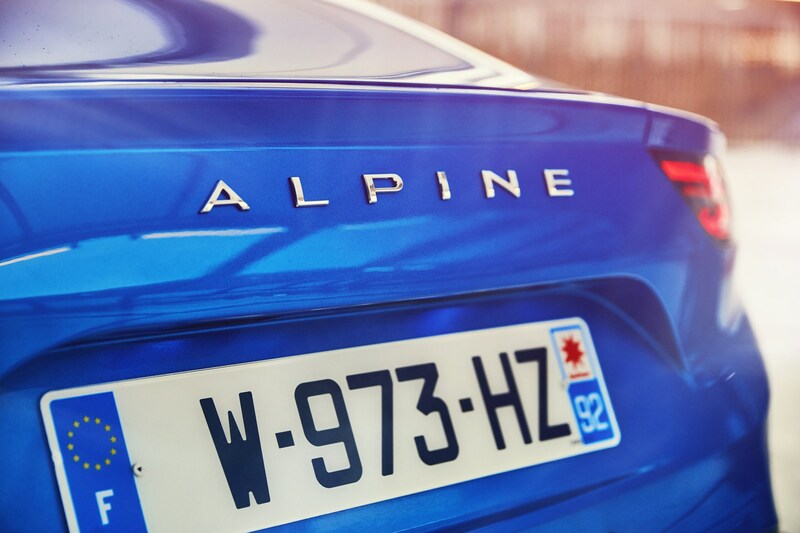 The last time you could buy an Alpine was 1995 – and in the UK, it wasn't even called that, being named after its parent company instead. 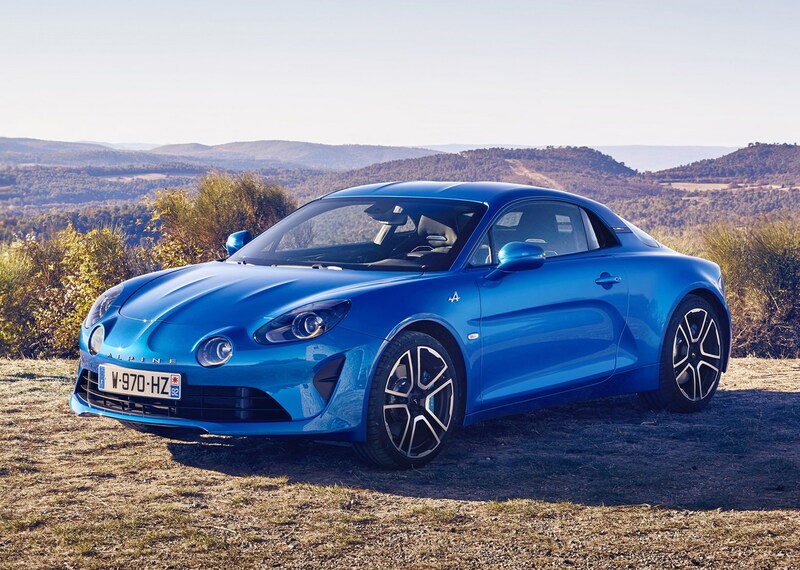 So what makes Renault think that – more than 20 years on – it can re-introduce this brand and expect it to sell? 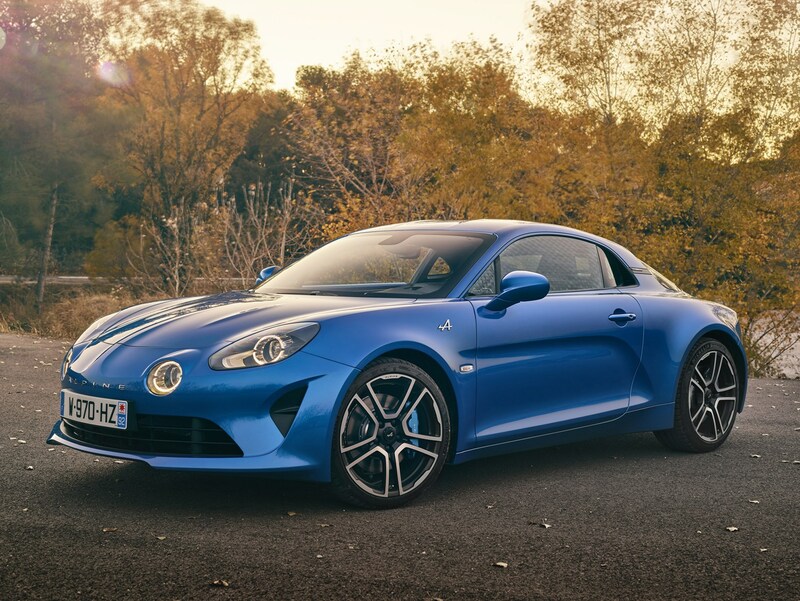 Before we get into how the French company has actually aced it, let's explain what's under the skin of this lithe and pretty little car. 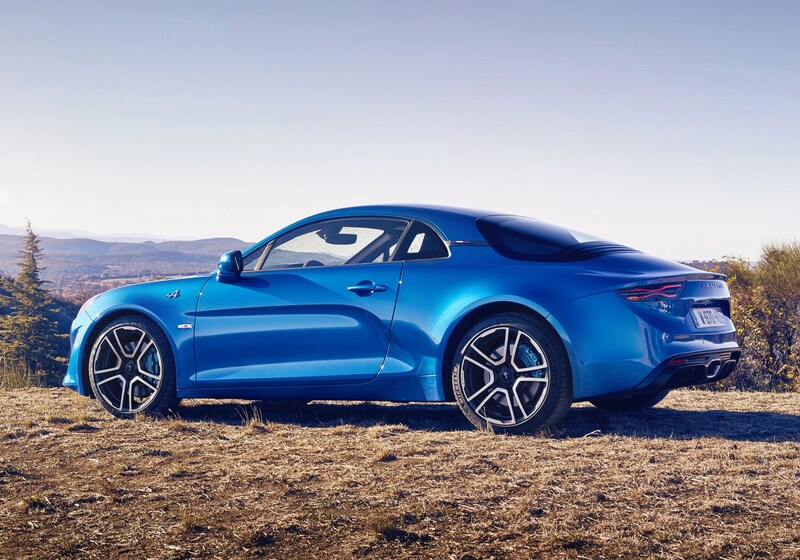 The Alpine A110 is an all-new bespoke sports car that's based on a brand-new all-aluminium architecture, and powered by a 252hp mid-mounted four-cylinder turbocharged engine driving the rear wheels. 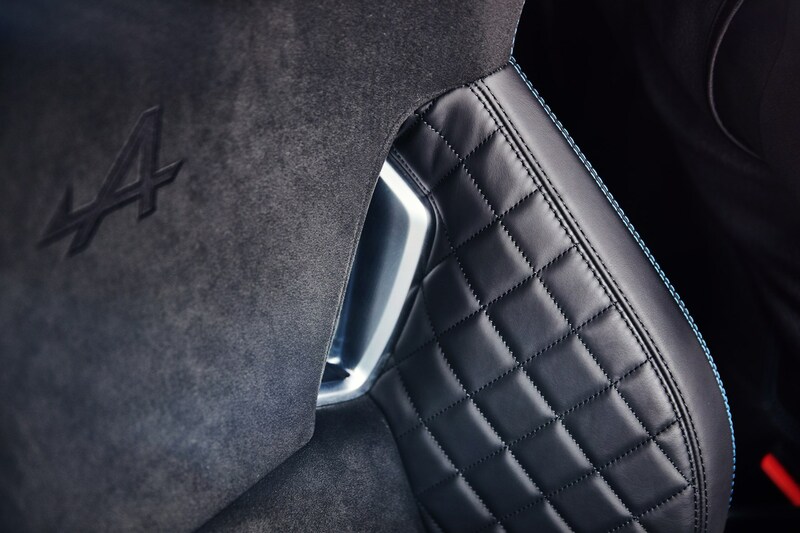 It's been designed and developed with an obsessive attention to detail for weight saving, and styled to evoke memories of the company's most iconic 1960s car. 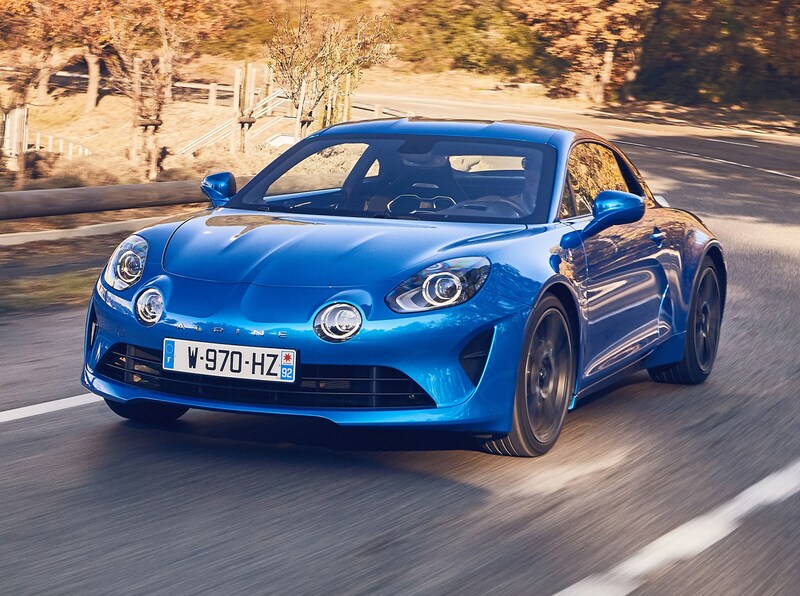 In terms of where the Alpine A110 slots into the market, consider that it will cost around £51,000, and has a 0-62mph time of 4.5 seconds, the French company is rather ambtiously taking aim at the Porsche Cayman, Alfa Romeo 4C and Audi TT-RS. 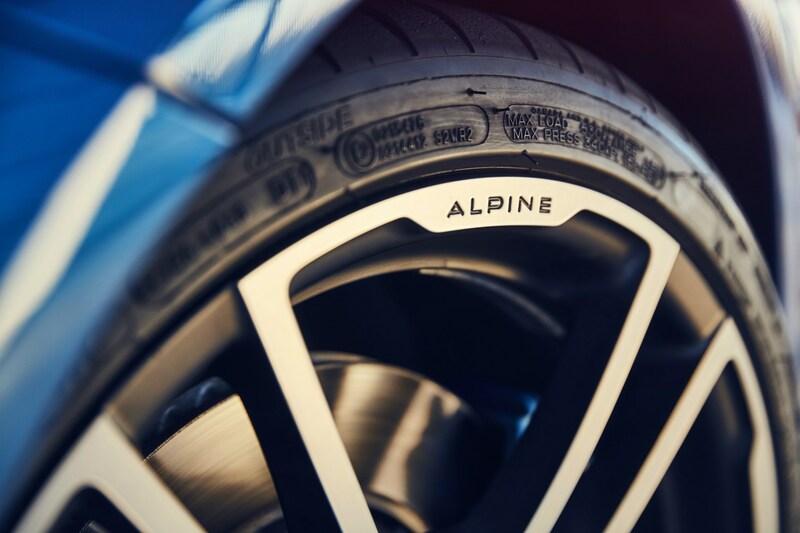 These are tough rivals – but the Alpine is designed to be lighter, more agile and focused than all. 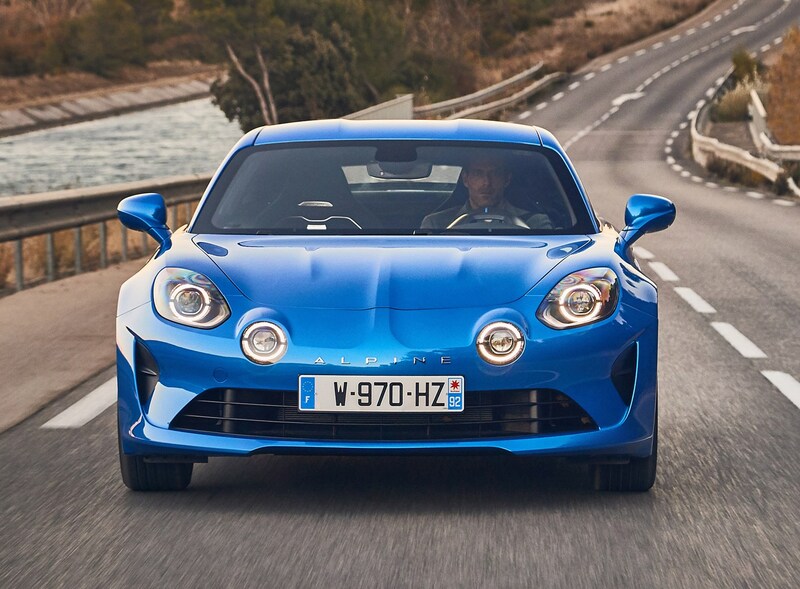 The first and most notable stat to quote is that this Alpine A110 weighs just 1,103kg. 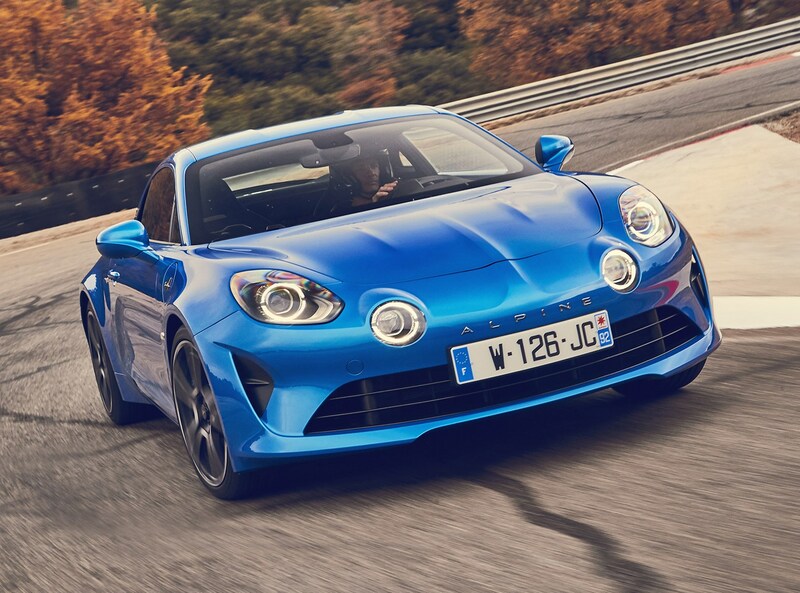 The first 1,955 A110s are to be built in Premiere specification, which adds some equipment, but subsequent production versions will be even lighter, at 1,081kg. 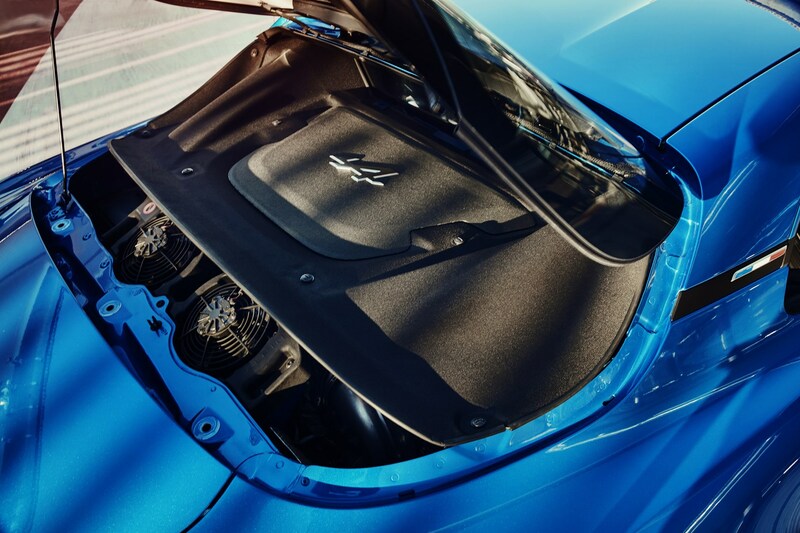 In short, it's lighter than all of its rivals, and is blessed with an impressive power-to weight ratio. 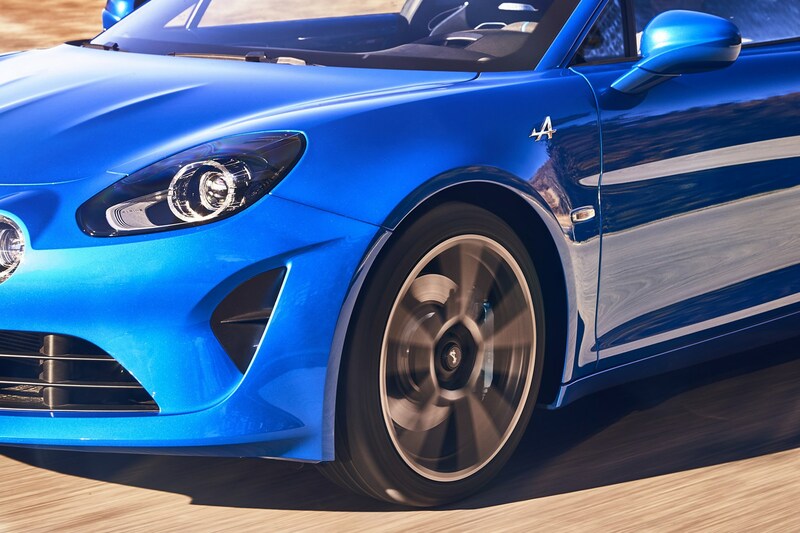 The A110 is made almost exclusively from aluminium, with body panels made from the stuff bonded to a stiff and light understructure. 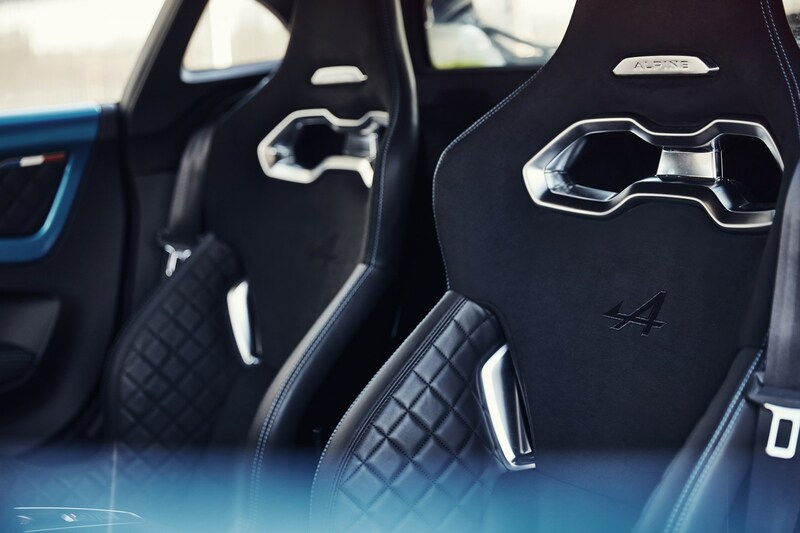 But it doesn't stop there – the bespoke Sabelt racing seats weigh just 13kg each, the rear brake calipers incorporate an electronic parking brake actuator (a world first to reduce costs), and even the stereo gets lightweight speakers to pare those all-important kilos. 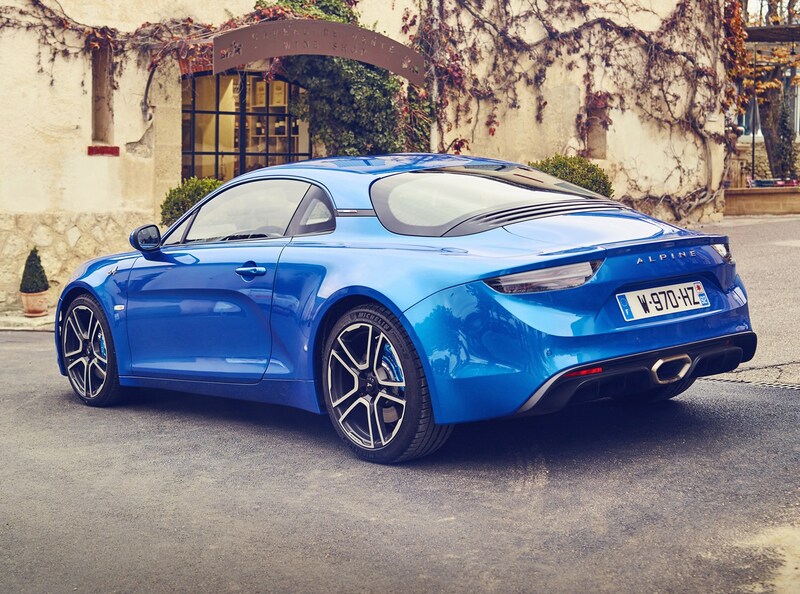 It gets lightweight double-wishbone suspension front and rear, tuned to deliver plenty of wheel travel and damping suppleness, while the fuel tank sits up-front to help the A110 achieve 44:56 weight distribution front to rear. 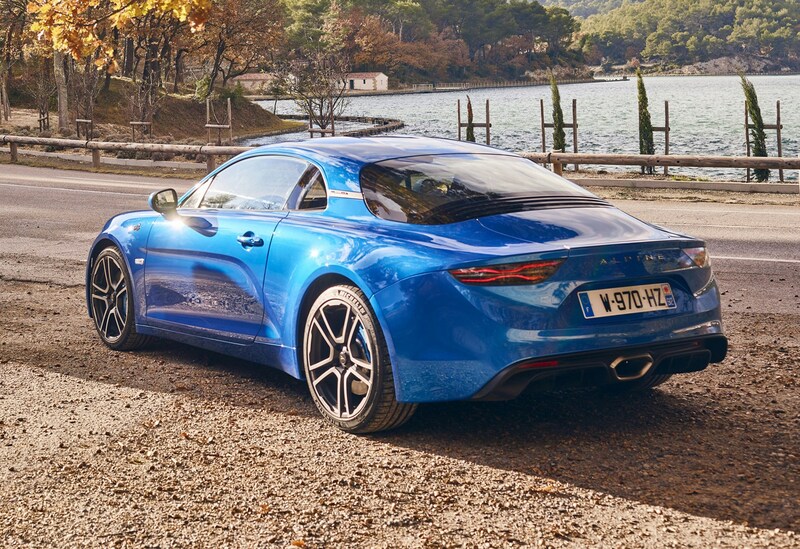 The Alpine A110's turbocharged four-cylinder engine drives the rear wheels through a dual-clutch automatic transmission supplied to Renault by Getrag. That should – at least – mean that the seven-speeder will be reliable in the long-term. 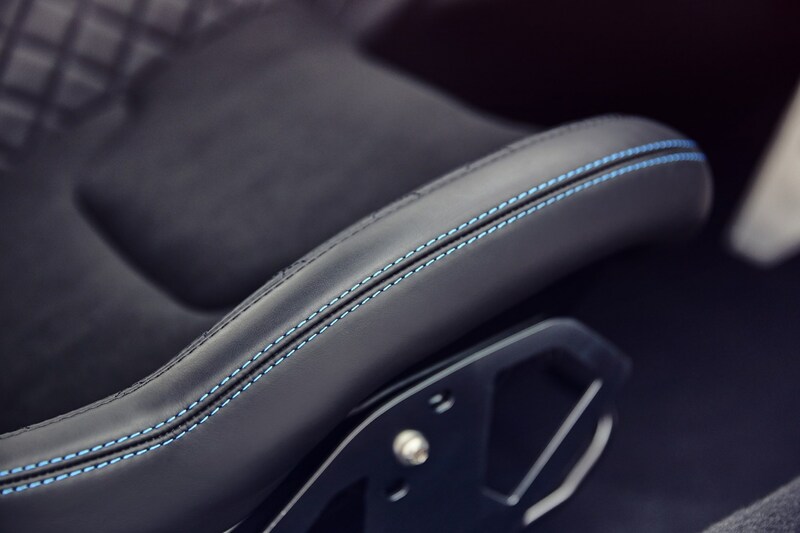 It's also smoother than the similar transmission found in the Renaultsport Clio. 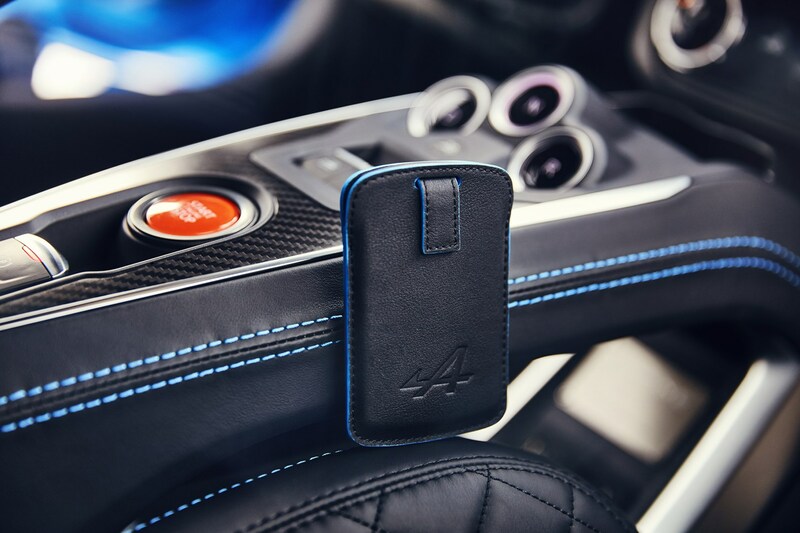 You change gear by paddles, or you can leave it in auto mode – but as befits a true sports car, the changes are snappy, quick and perfectly set-up for press-on driving. 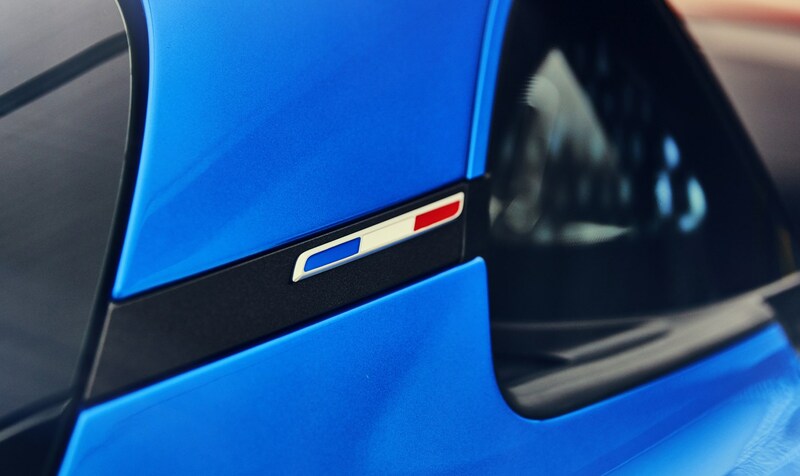 Doubly so in Sport mode. 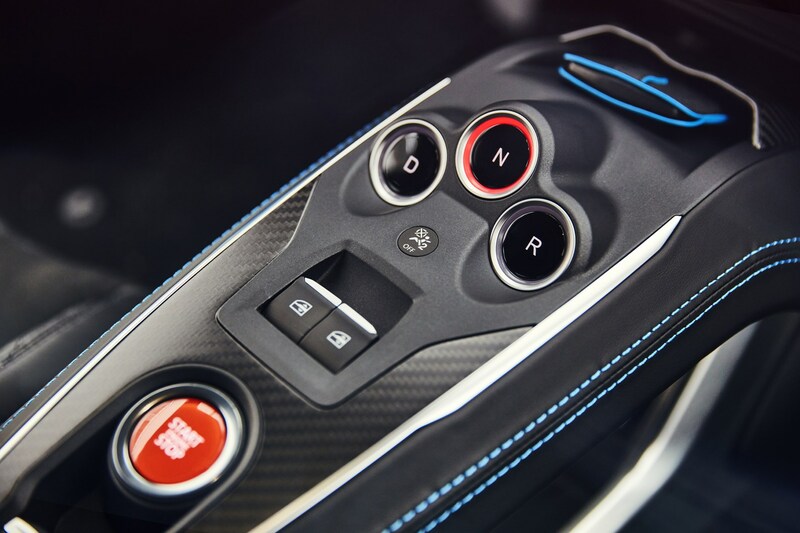 That means the centre console has three simple buttons to control the gearbox (above), for Drive, Neutral and Reverse. 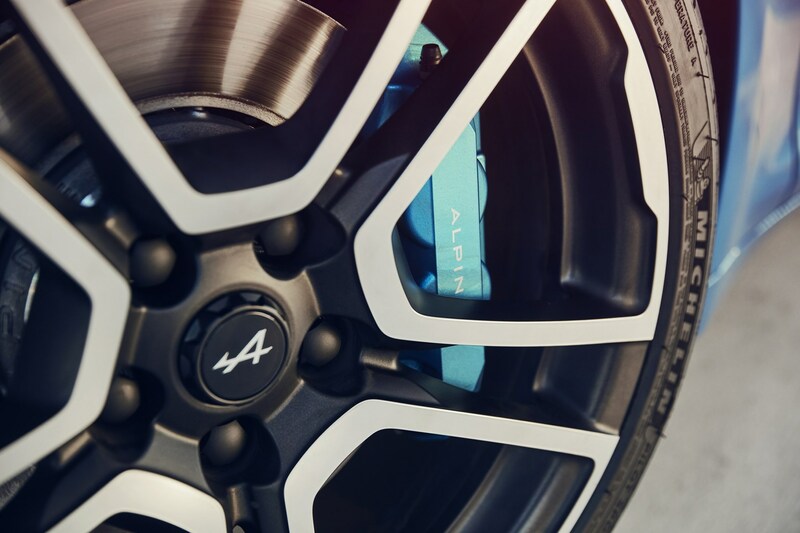 Alpine currently has no plans to introduce a manual alternative. 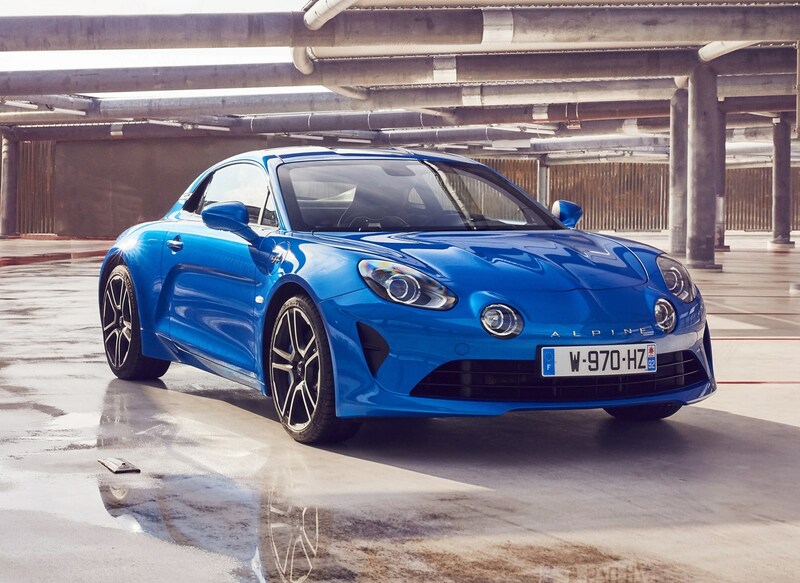 What's the Alpine A110 like inside? 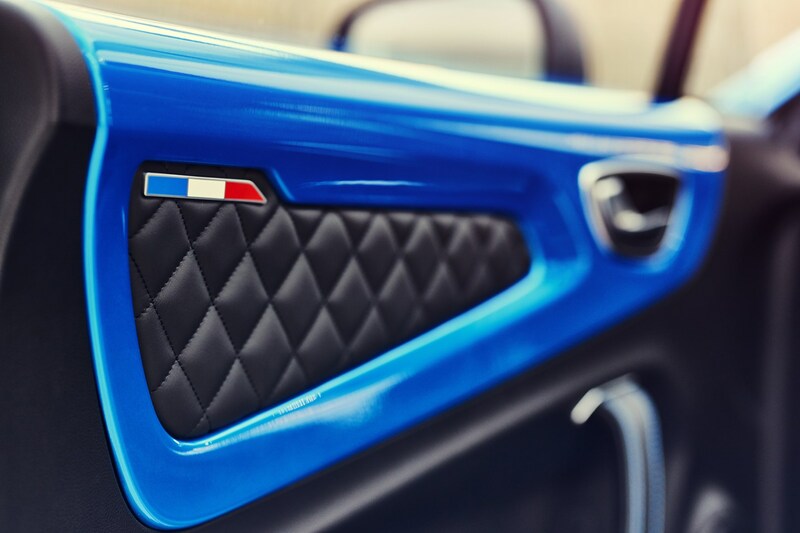 It's been designed for function rather than luxury, but the trim and materials are well-judged and the quality is more than up to expectations. 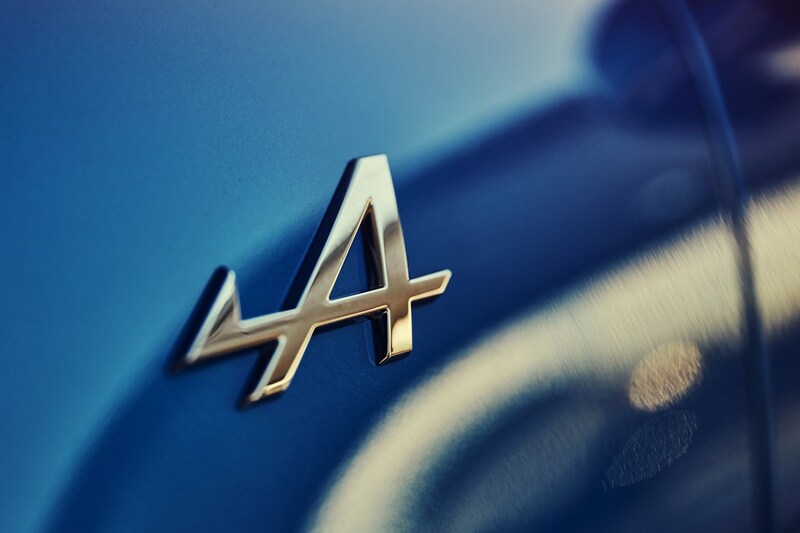 Is it as solid as a Porsche or an Audi? 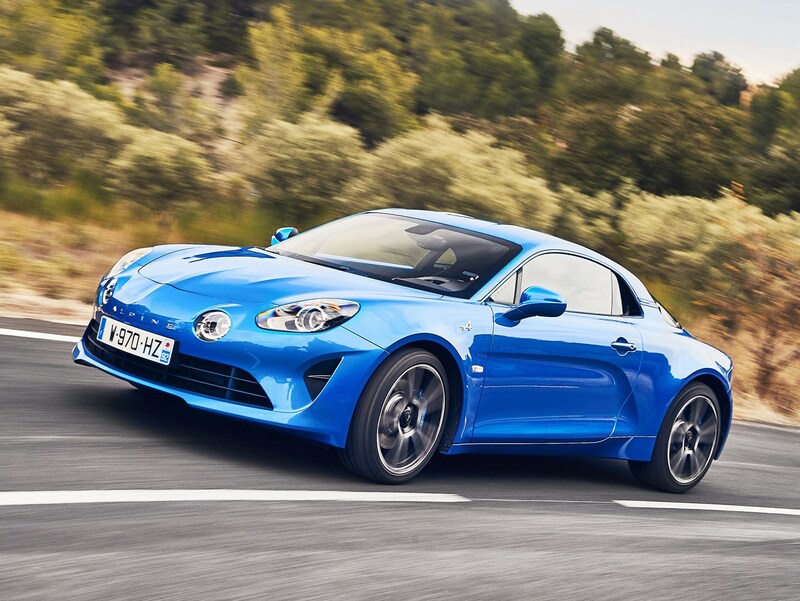 No, but then, the Alpine is probably not setting out to do quite the same thing as its German rivals. 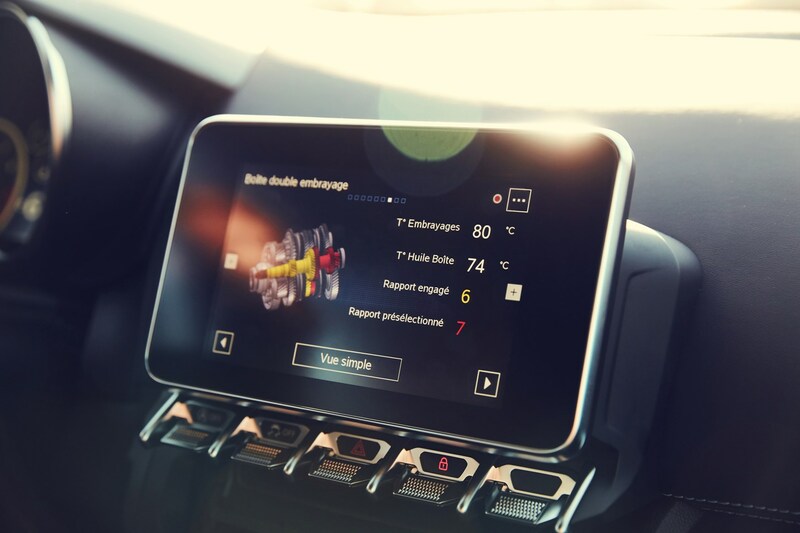 You get a decent stereo and touchscreen, too. 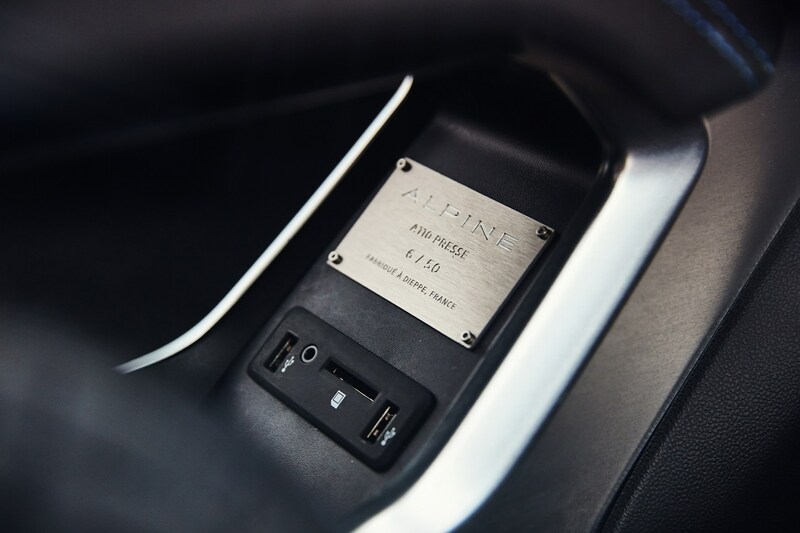 The leather on the seats is soft, and the seat material is pleasant to touch – but frankly, this is probably not a priority, given the back-to-basics look and feel that Alpine has set out to achieve. 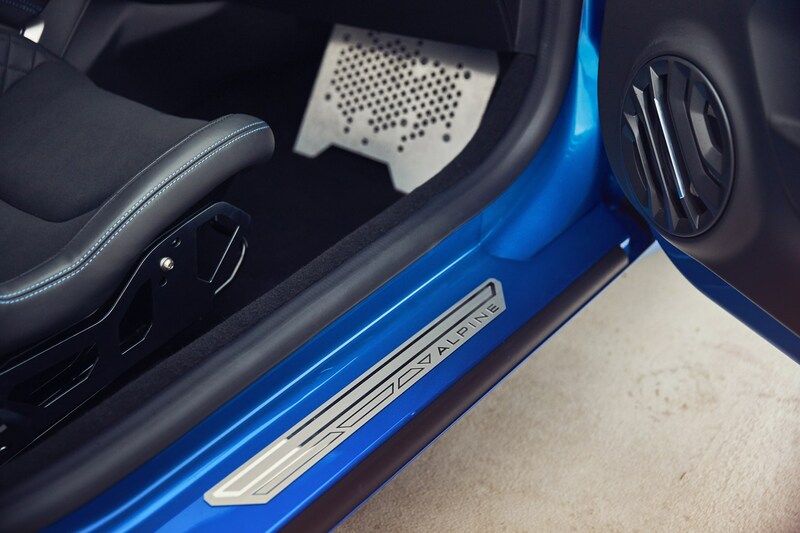 Given it's small on the outside, we won't complain about the amount of interior room. 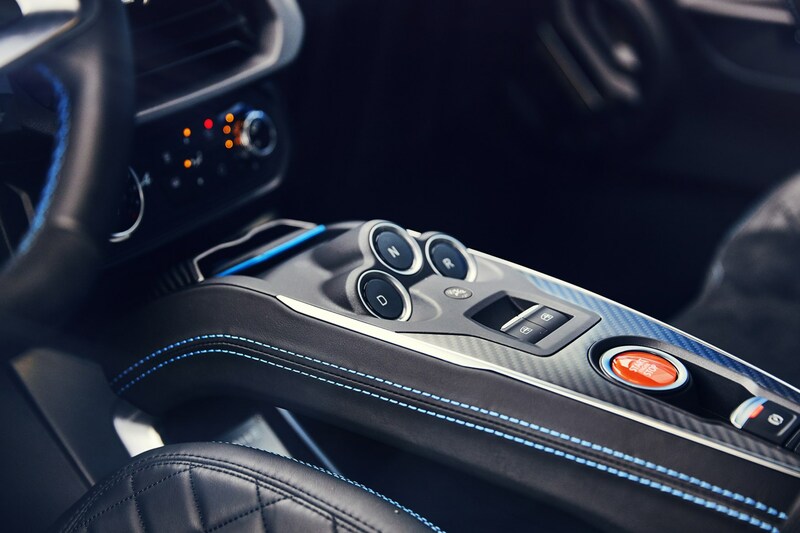 It probably helps that the company's CEO is 6ft 7in, and the car fits him – so you get plenty of head and legroom, and although the seat doesn't adjust much, the steering wheel does. 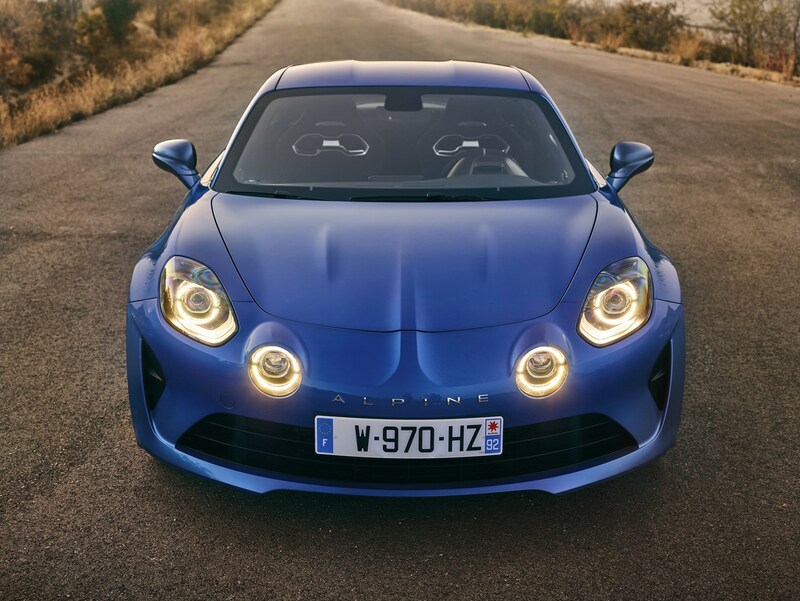 What's the Alpine A110 like to drive? 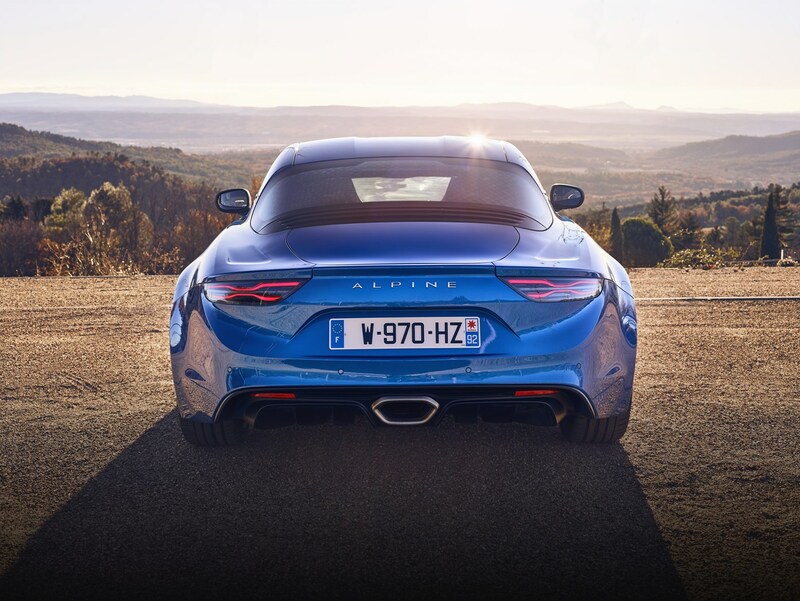 This is what the Alpine A110 is all about. 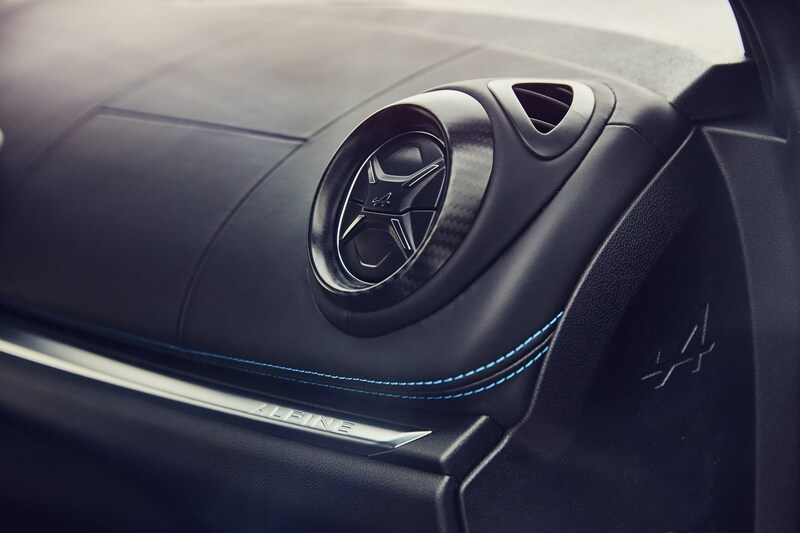 Because there are so few driver aids, you get to the heart of the car's character very quickly indeed. 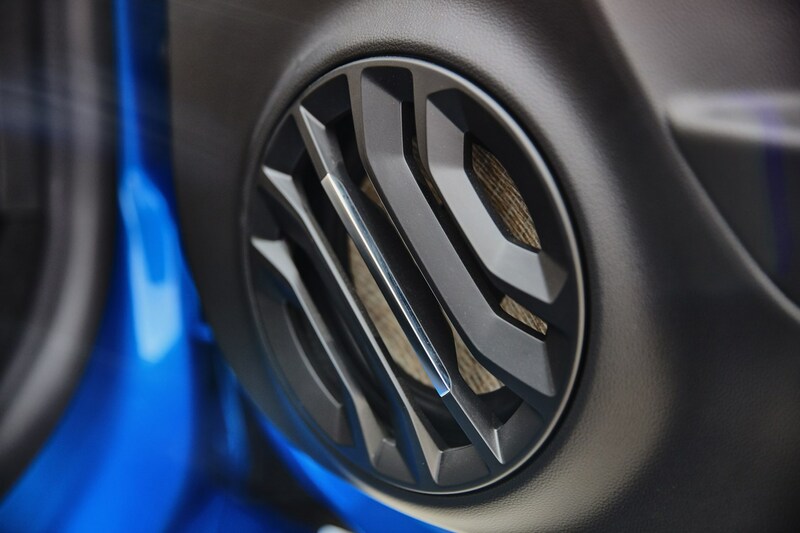 It's raw and involving, even when you fire it up, the engine barks into life, and the throttle responds playfully and instantly. 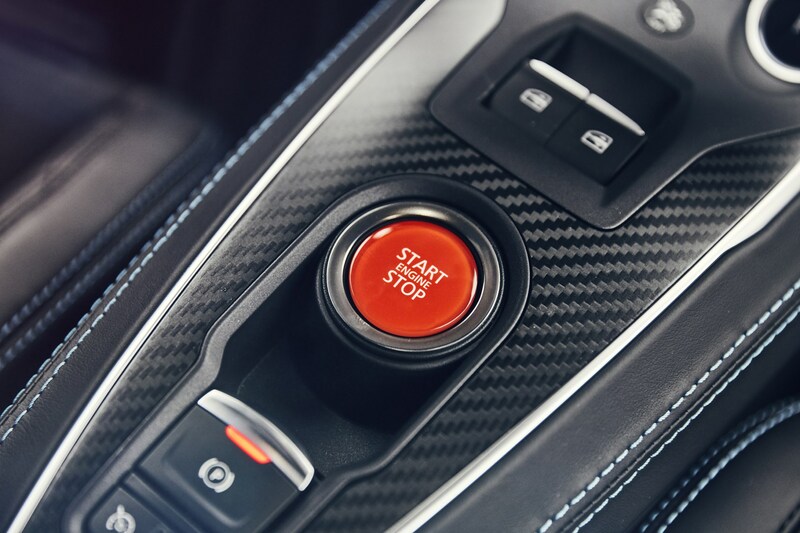 There are driving modes to play with, which are controlled from a big red button on the steering wheel. 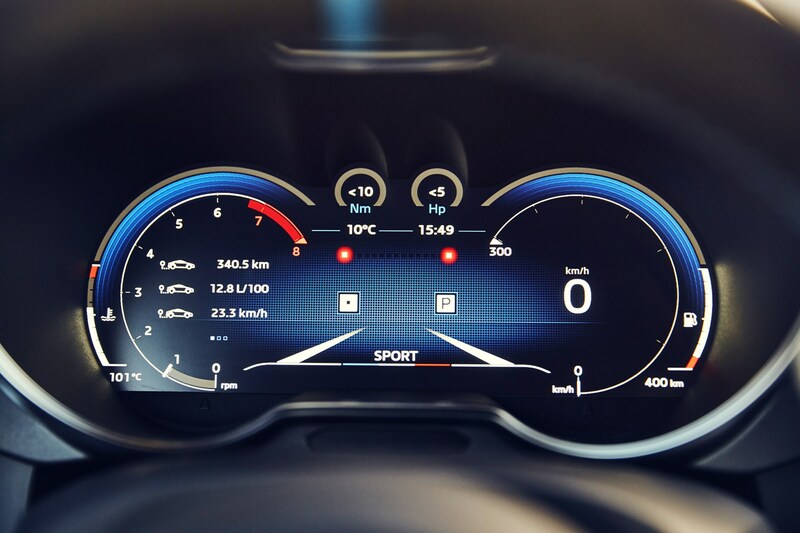 They only adjust the car's steering, throttle and response from the stability control system – the suspension settings, thankfully, can't be adjusted. 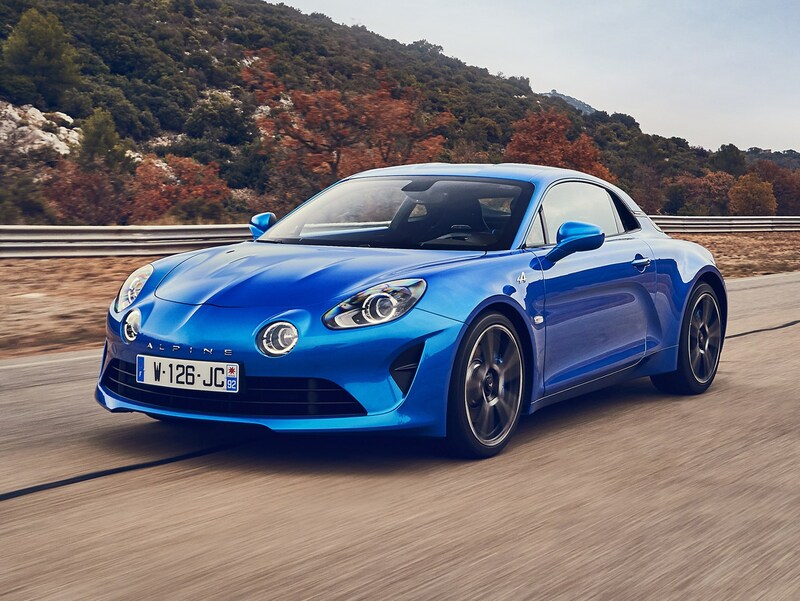 On the road, it's probably at its best in Sport mode – the steering and throttle response are sharp enough to enjoy the handling and response without getting too twitchy. 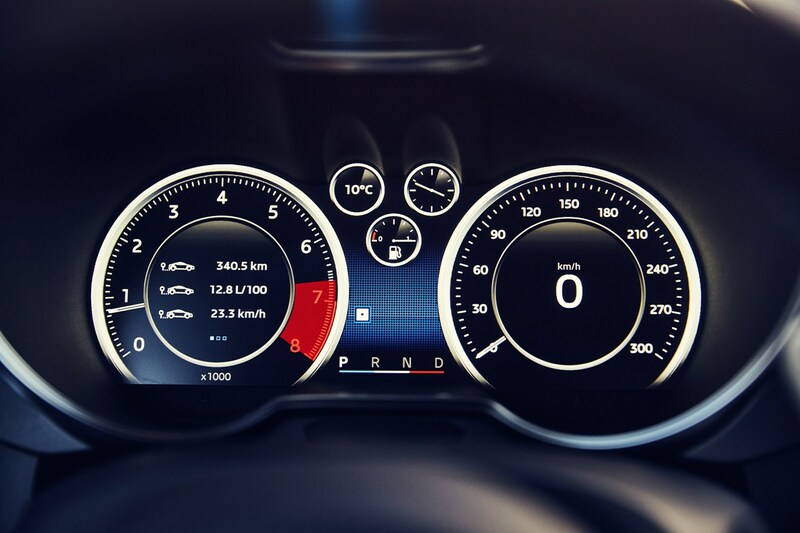 Running in this mode allows you to really enjoy this sweet riding and agile handling car to its maximum capability. And enjoy it you will – even before you get to the bends, you'll love the way it accelerates. 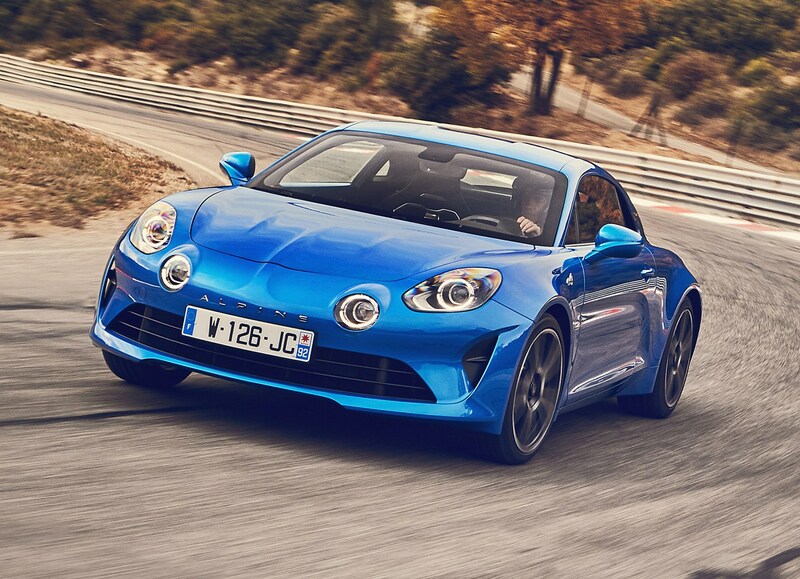 It's fast without bludgeoning your senses, while the engine sounds raucous and hard-edged in an enjoyable way right up to the redline. The ride quality on rougher B-roads is remarkably compliant – it never jars you at all. 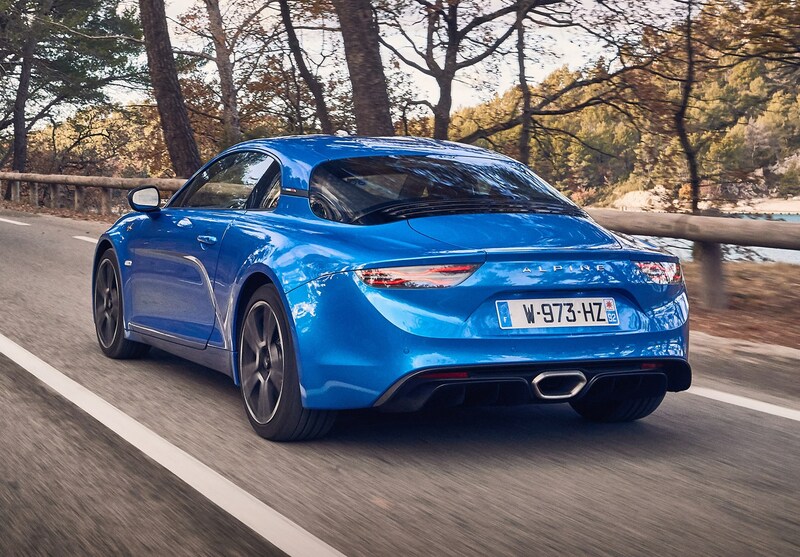 But it's in the twisties where the A110 truly shines. 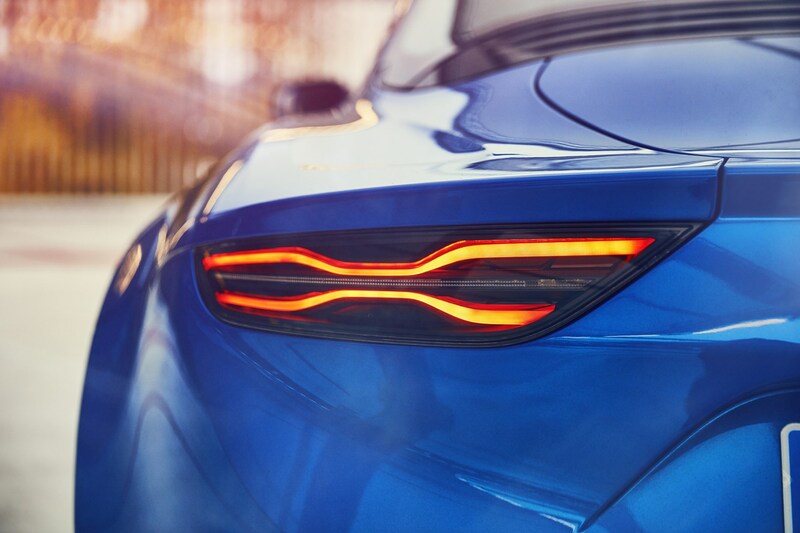 Here you'll love the delicacy of response – you turn and it responds beautifully, rolling sweetly into bends, and never feeling anything other than bolted to the road. 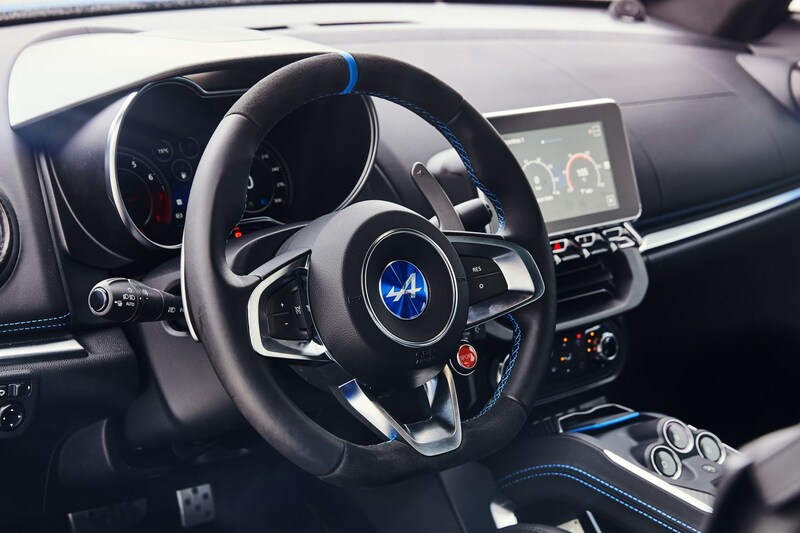 It feels friendly, never intimidating, and there's fun to be had at low speeds, thanks to the sheer amount of communication you get through the wheel. 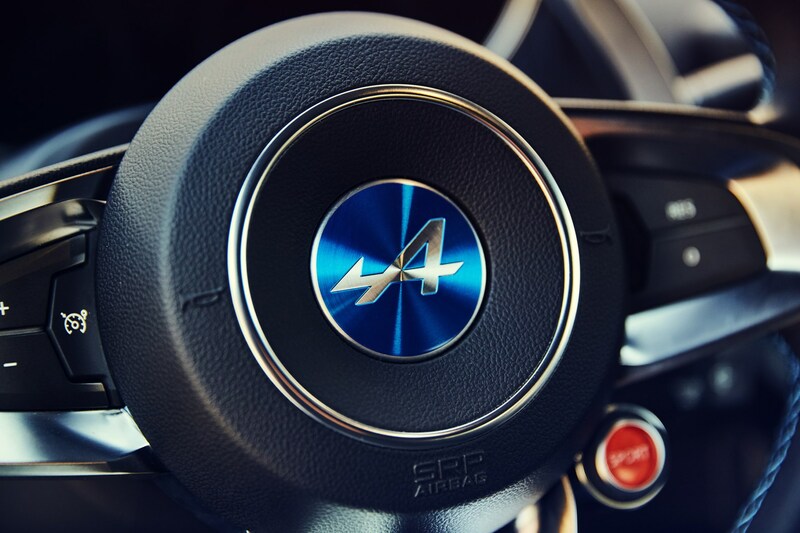 Long story short – it's astonishing good fun to drive, and although it's fast, it delivers its thrills at all speeds addictively through the steering wheel and seat of your pants, just like a proper sports car should. 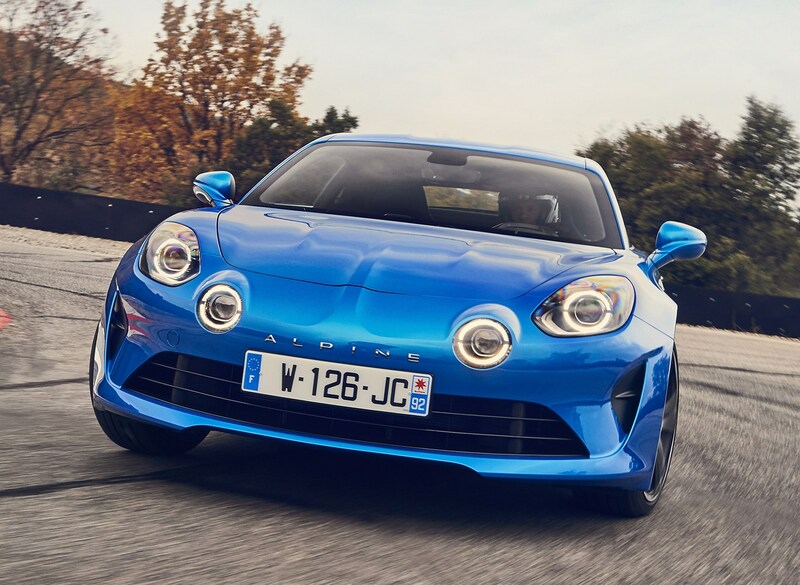 How is the Alpine A110 on track? 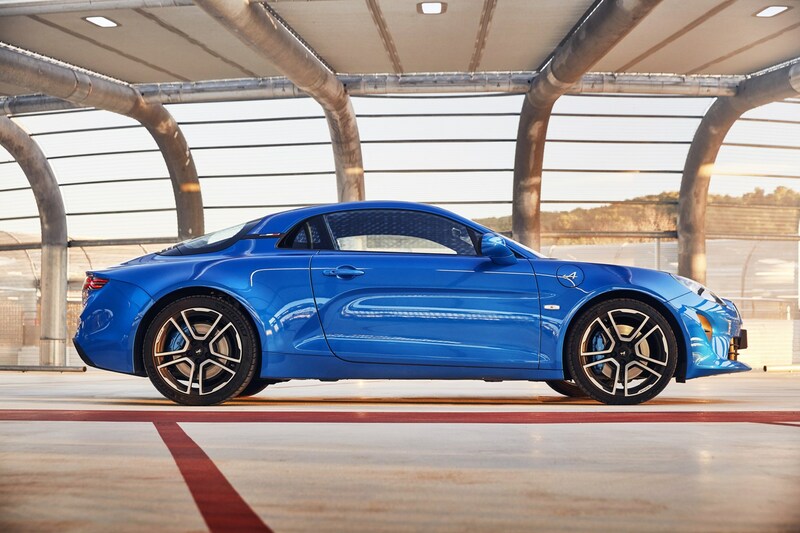 Surprisingly, this car is equally impressive on track as it is on the road. 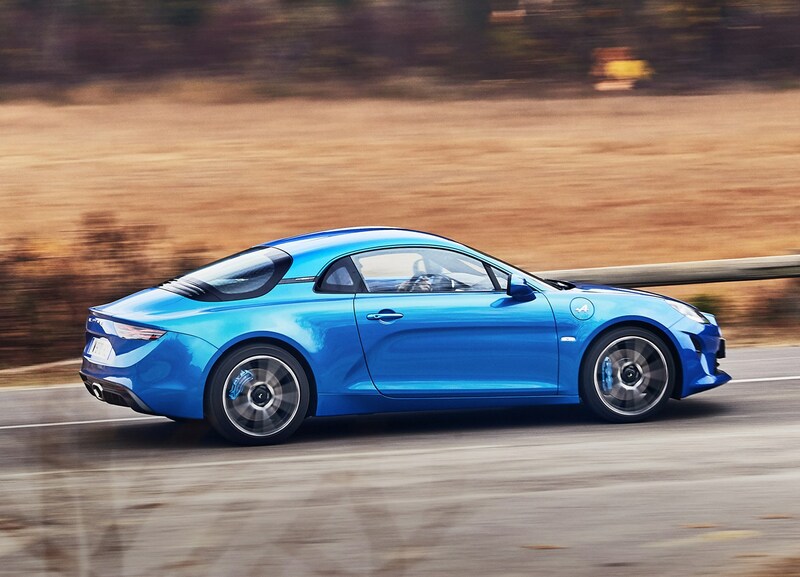 Despite almost floating over rough surfaces on typical A-roads, it hunkers down and works beautifully on track. 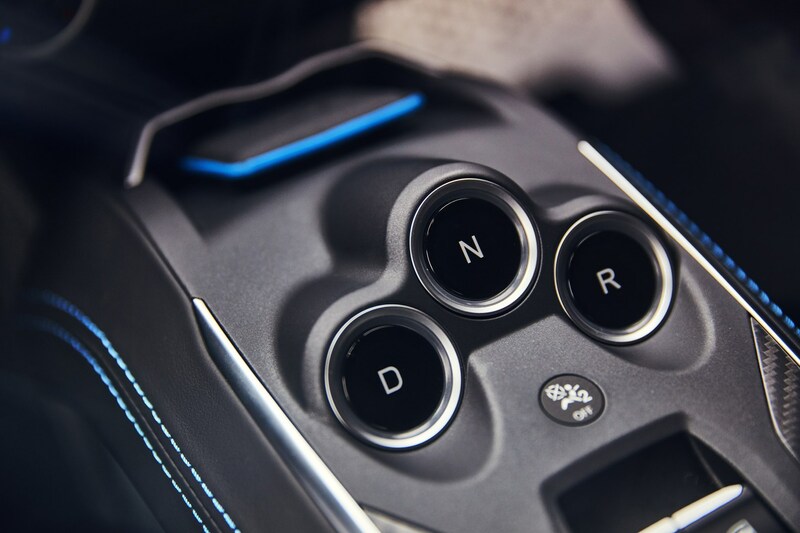 Stick it in Track mode for maximum effectiveness, and change gear manually – and you'll find a car that's delicate, adjustable and not at all unfriendly. 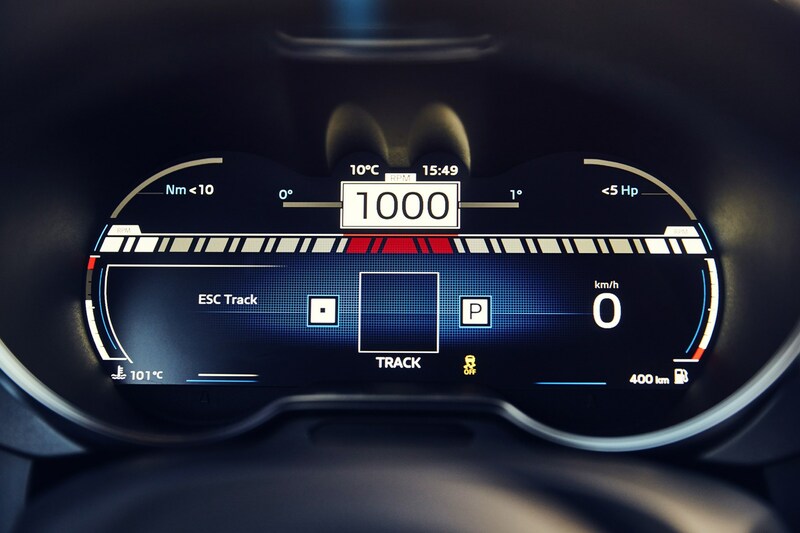 Although this is not a priority for most customers, it's good to know that if you do take it on track, it will reward you with the most fantastic driving experience. 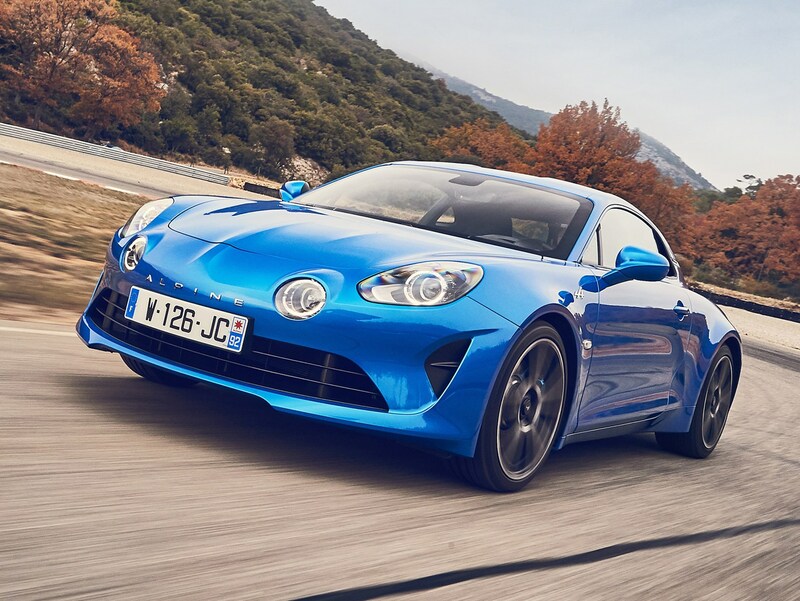 The Alpine A110 is an astonishingly good car. 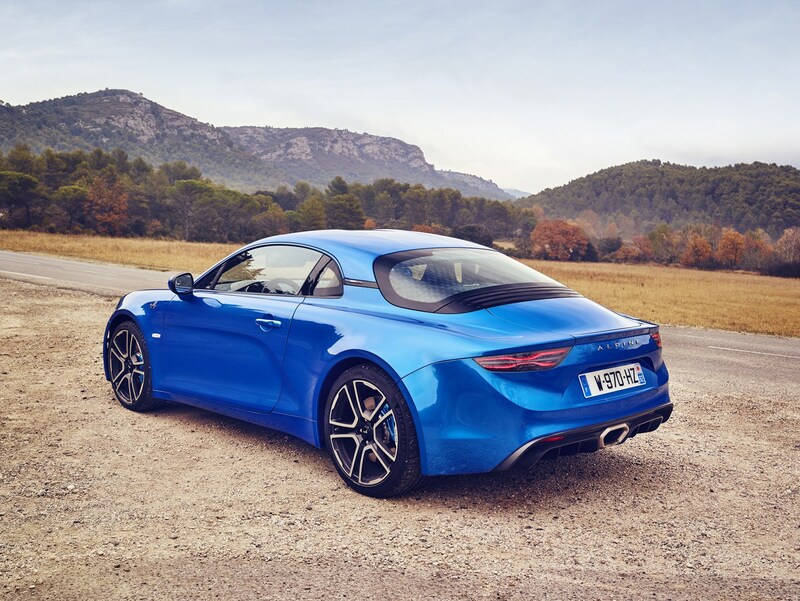 Considering it's been built by a company that's nominally been out of the carmaking game since the 1990s, it's an incredible effort that's clearly been designed, developed and fine tuned by people who are really passionate about driving. 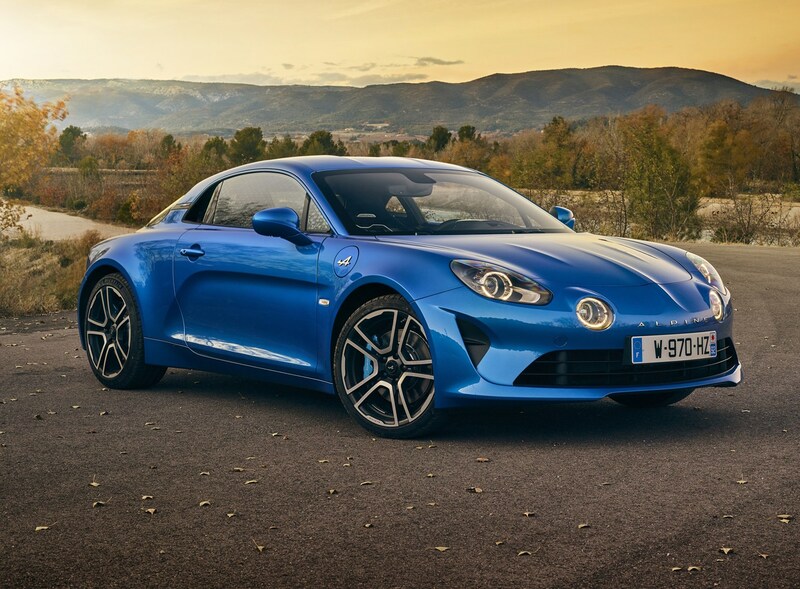 And for that reason alone, it's worth serious consideration over a Porsche 718 Cayman. 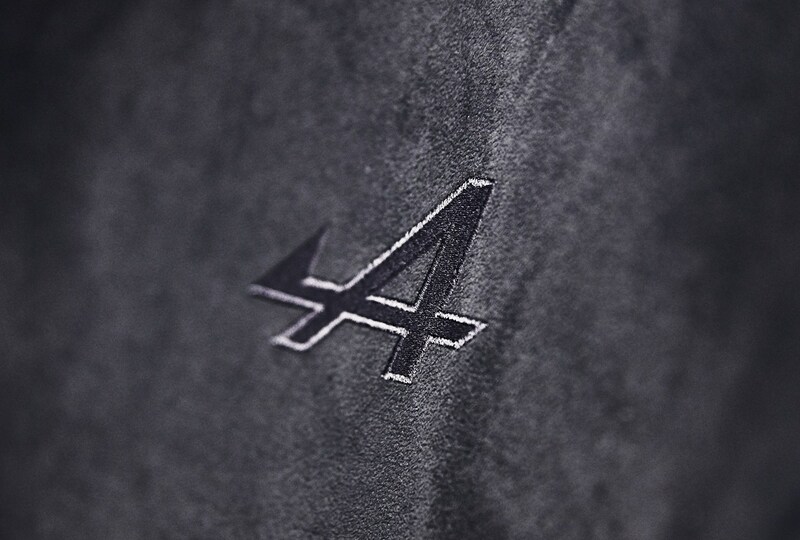 That's high praise indeed considering just how highly we rate the Porsche. 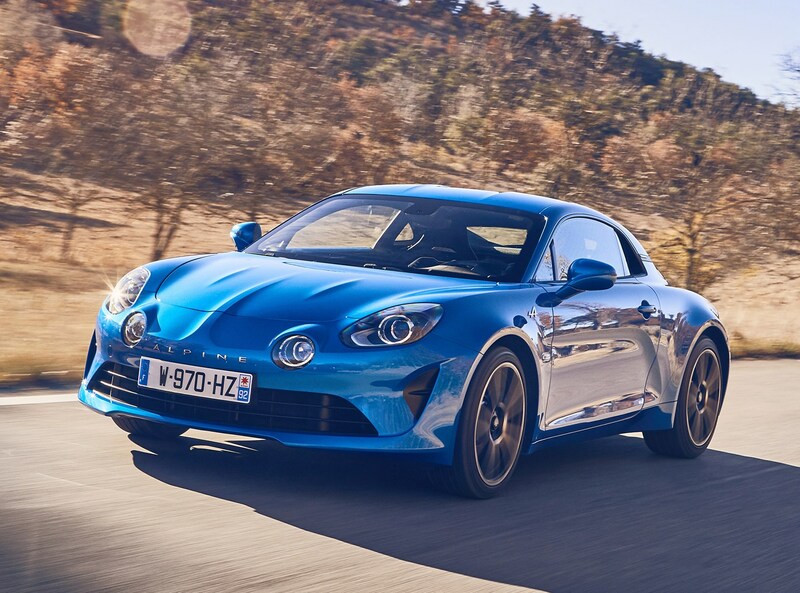 But it really is that good, and although £51,000 seems like a lot of money to spend on a car from a maker your neighbours won't have heard of, as soon as you drive the lightweight A110, you'll get it. 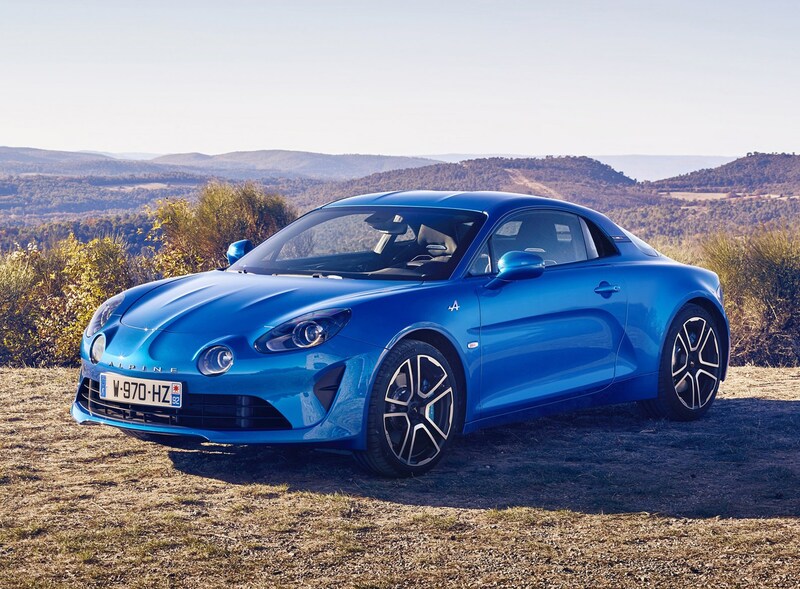 Early buyers will have to wait up to a year for their A110 to turn up, which is a problem, but they can wait, confident in the knowledge that although it isn't quite as perfect as the Porsche, it has more heart, soul and feedback that its German rival. 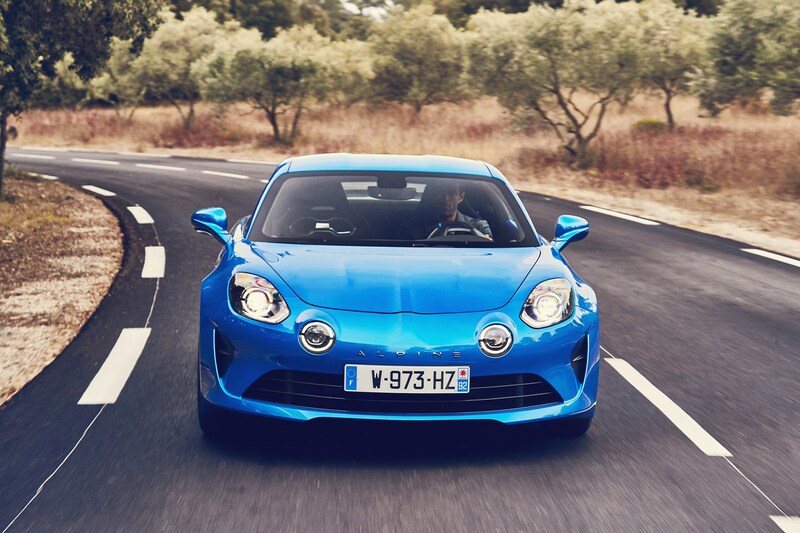 Is that a pragmatic reason to take the Alpine over the Porsche? No. 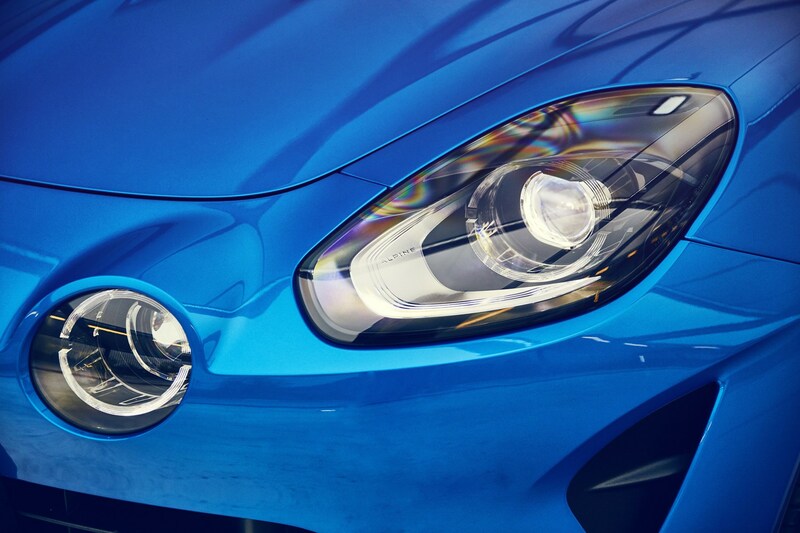 But for keen drivers, it's more than enough.